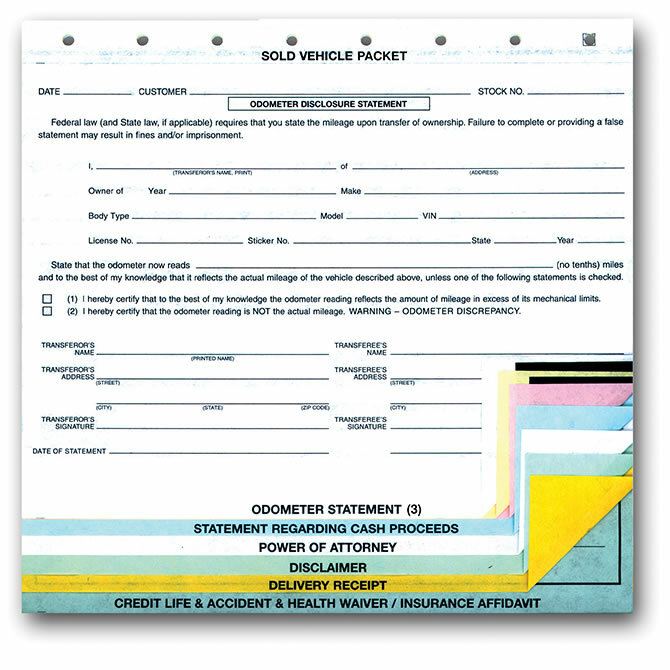 Item Size: 8-1/2" x 8"
This Sold Vehicle Combination Form is an 8-part, snap-out (packet) for sold vehicles saves time and money in processing. 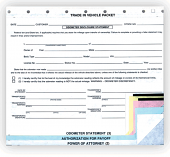 Contains a multipart odometer statement with each additional statement with each additional statement clearly identified for easy distribution. Premium grade carbon for legible copies on all parts.